Chef Tenney Flynn is Chef/Owner of GW Fins in New Orleans. He regularly speaks to the media through interviews and cooking demonstrations to stress the importance of using American wild-caught shrimp. Flynn has become known as one of the country’s foremost seafood experts, as well as a vocal enthusiast for the bounty of seafood that is available in the Gulf. He repeatedly advocates for the flavor profile benefits as well as economic benefits of choosing to eat and to purchase Wild American Shrimp. Chef Flynn is known throughout the region for his stringent seafood approval process for GW Fins, and is, as the Wall Street Journal has referred to him “widely acknowledged as the fishmonger czar of the Gulf region.” He is a master of his craft and has a wealth of knowledge and passionate about seafood that is unmistakable. One of Tenney Flynn’s many cooking demonstrations. He is a seafood icon and is asked to judge national seafood competitions and provide cooking demonstrations for fellow chefs and consumers. Chef Flynn has become a national celebrity for his weekly cooking segments on the syndicated fishing show, “The Big Fish.” In fact, often guests come to New Orleans to dine at GW Fins after watching him prepare a variety of dishes on this popular show. Flynn donates his time and hard work to Liberty’s Kitchen, an organization that helps struggling youth get excited about the culinary profession. He has also been Chairman of the Chef’s Council for Audubon G.U.L.F for over six years. Flynn has twice been named “New Orleans Chef of the Year,” an honor that only one other chef has held and his restaurant, GW Fins is a New Orleans staple that has been ranked as the #1 restaurant on Trip Advisor for past three years. Chef Tenney Flynn is a huge advocate for wild-caught shrimp and sustainable seafood and uses his voice to spread the word of the benefits and importance of it, which makes him a Chef of the Year 2018 Finalist. 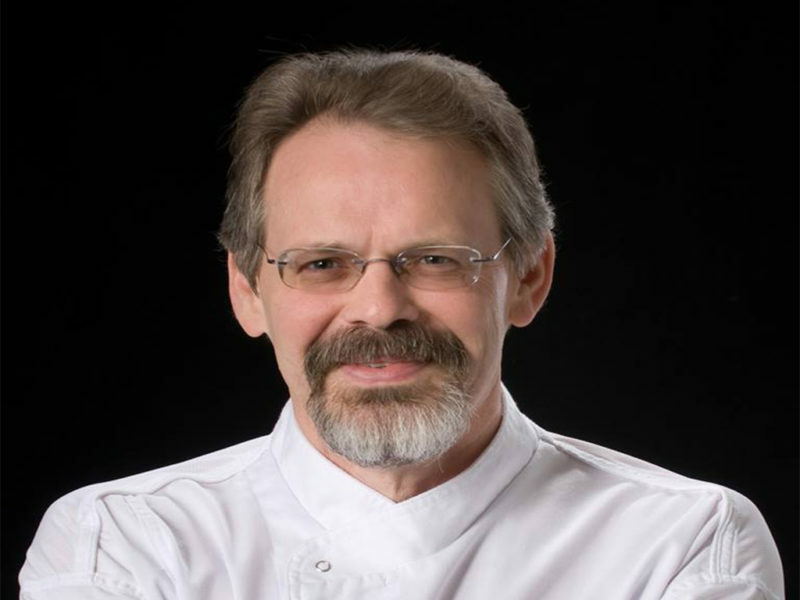 Learn more about Chef Tenney Flynn here. Check out this delicious recipe by Chef Tenney Flynn!